Where to start?! Marathon race weekend was amazing and I'm kind of sad it's over. I had so much fun training with the NTC Lincoln Park Marathon Crew and fundraising for Bright Pink. I saw many familiar faces racing and cheering me on. 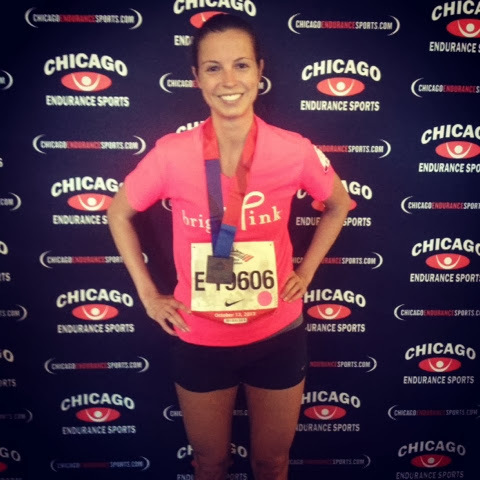 Running 26.2 miles in my newest hometown and being a part of the Chicago running community has been a blast. Thanks to everyone who supported me during this journey and donated to Bright Pink, we raised a total of $1130.20!!! 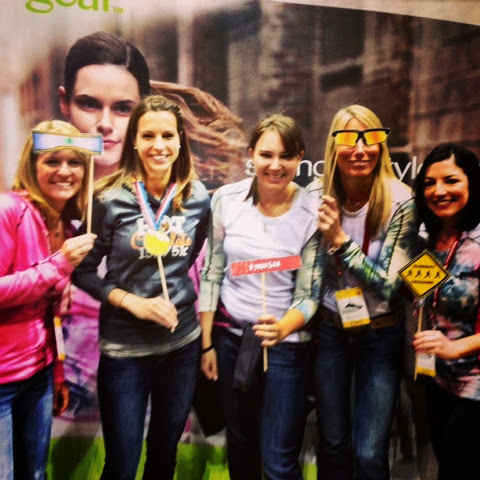 I talked a little about going to the expo and having dinner with the NTC gals in my last post. So, I'll start with going to the expo again on Saturday. I didn't have much time to explore the booths on Friday so I went back to interact with the companies there and even made some new connections for reviews on my blog. Below are some of the highlights from the expo on Saturday! happened to be at the expo! 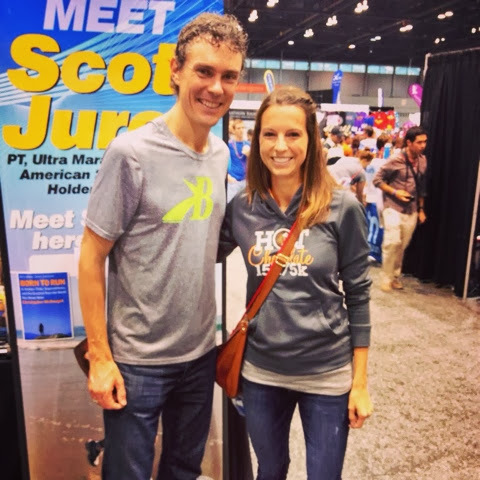 Scott is a vegan and elite ultra-marathoner. 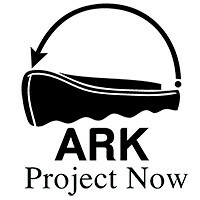 code 1035 for free shipping on awesome women's running apparel. 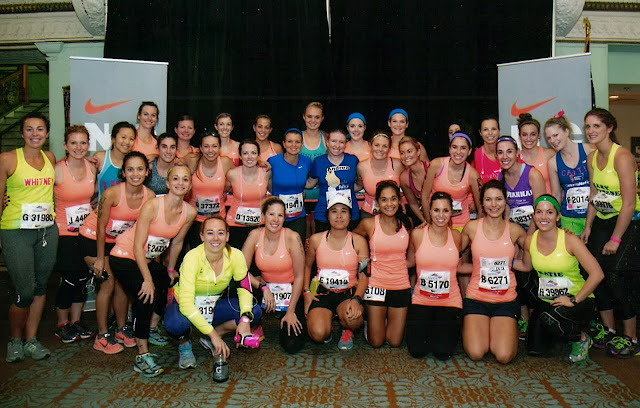 NTC Lincoln Park Marathon Crew before the race! So proud of these ladies! We headed to the corrals and I even ran into my friend from college, Caiti. The race start is always fun, there's so much energy in the crowd! I started with the 4:00 pace group and kept with them until about the half. The first half I felt great and running through Lincoln Park was energetic. I saw all of my friends spectating around mile 8 and again just before the half. Ryan was with them and gave me a coconut water. It's much better than the gatorade served on the course. My first half time was 2:01:59 so I was on pace to hit my goal of around 4:00. But then I hit a wall around mile 15 and slowed down drastically. It was very similar to the wall I experienced in the 20-miler three weeks ago. My legs felt like concrete and my ankles (especially the left one, which is swollen today) hurt. I eventually had to walk because I was barely picking up my legs. I'm not sure if this happened because I didn't put in enough mileage during training, didn't rest enough, or was too stressed out from work the week before (government shutdown....). I felt like my nutrition was good so it could have been a number of other things. I saw my friends Grace and Gerald in mile 17 and Ryan with the rest of our friends in mile 20, who encouraged me to keep going (and gave me another coconut water). I ate some bananas and the rest of my gels. I still walked a little but I managed to (slowly) run the last 5k. Part of the reason was because my crossfit endurance coach Jon ran with me for a little bit. Big thanks to him! I needed the push! I almost started crying when I saw the turn onto Roosevelt and then thought I might give up on that darn hill, but I finished that last 200 m strong and got my medal! Total time of 4:34:26, which is slower than my original goal but still a 20-minute PR from my last marathon in 2010! Overall, I'm happy with the race and the overall experience of training for and finishing this marathon. At the CES/NTC resort after the race...4:34:26 PR! "The Government can't run but you can!" "Run fast, The Walking Dead premiers in just a few hours!" "Run fast, the Kenyans are drinking all the beer!" I got my stuff from the race resort, changed into my Five Fingers, and ate some food from the buffet. I also ran into some of the NTC girls and we all hugged each other. So proud of everyone! I headed home where Ryan was waiting for me with a burrito, I pretty much ate the whole thing in one bite. 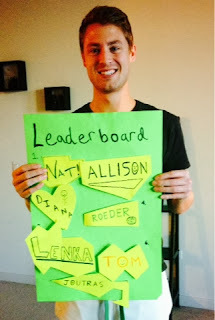 I then took a glorious nap on the couch and then headed to NTC for the post-race party. It was great to see the girls after the race and we even got some swag bags with champagne, race bracelets, chocolate, and a framed photo of the crew (same one as above), and free medal-engraving. 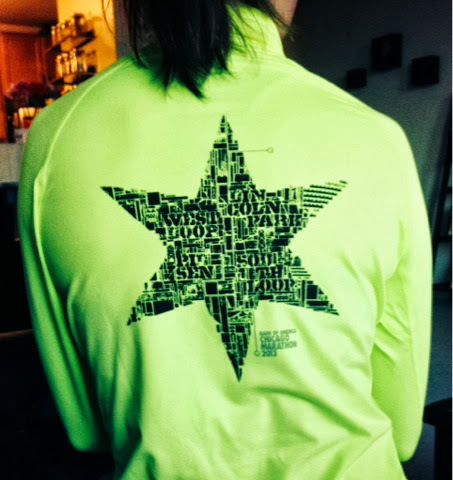 I also bought the Nike half-zip long sleeve in neon below...star power! Training with NTC was seriously amazing and I couldn't have found a better running community in Chicago. All the NTC Lincoln Park programs and classes are free so you need to check it out! Grace and Gerald came over in the evening and we had a glorious takeout sushi dinner with wine. Then we watched the season premier of Walking Dead and I went to bed and slept like a baby! It's the Monday after the race and I'm sure that I feel the same as other people who just finished their biggest race of the year. I feel accomplished, satisfied, very sore, and little depressed that the journey is over. There's so much build up and now it's done! I've made a lot of friends training and I hope that I continue to see them. But "training" isn't over yet! This week is important for recovery. I'm getting a massage tonight (Groupon is the best), and then plan to do spinning and Bikram yoga in the next 2-3 days. I'll get back to crossfit later in the week but take it easy. Eating healthy and drinking fluids is important also to replenish! Now is a good time to set your health and fitness goals for the rest of the year and next year. Maybe you want to do another marathon? Or tackle an ultra? My goal is to do some halves and even a 5k next year and try to get a PR. I'm also giving away a free entry to the Hot Chocolate 15/5k which is in Chicago November 3. It will feel great to fly through a shorter race and end the running season before winter kicks in. Click here to enter and you can use the free entry for ANY city, 5 or 15k. You can also use code HealthyfitMUG to get a free travel mug with registration. I did the race last year and it was great. Plus, I was able to run super-fast because I had been training for a half last fall. What were your favorite signs/moments during the race? What are your health and fitness goals moving forward? Thanks Sonia! Good luck in your marathon and I'm sure you'll be able to finish. Just remember all the hard work you put into training. 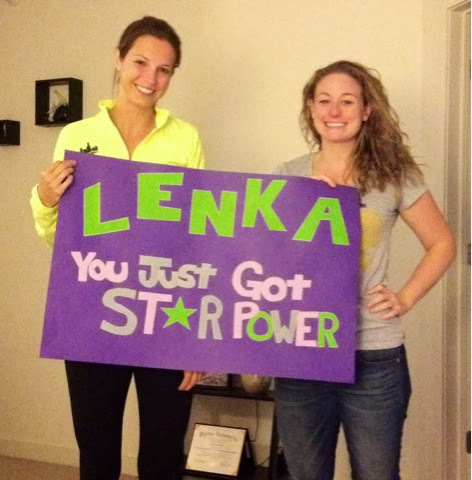 Congrats Lenka! It was amazing journey with you and the NTC crew. I didn't hit my goal time but I still did a PR. I wasn't feeling my best going into the race and started struggling at mile 13. When I saw the 800m mark, I ran as fast as I can to the finish. That hill was brutal. It felt steeper than ever. LOL Next is recovery with a sports massage and then my next marathon on Sunday. Eeek!! Have a good recovery! I hope you have the best massage ever! I found it helpful to march in place in my gym's hot tub (strange, but more strange no one even seemed to notice). I also moved verrrrry slowly on my elliptical just to get things moving before and it seems to help. Congrats on finishing! I didn't hit my goal time either but we still got PRs, which is awesome! Have fun in San Francisco this weekend and good luck! I thought hot tubs/bath were bad post marathon and you should do an ice bath? Maybe alternate? But going in the hot tub in my building does sound amazing. I did an ice bath the day of and heat the following day. I iced yesterday but not with a full bath. Maybe I'll hit the hot tub after the massage tonight and then ice again. Anything to make my joints feel better! Big time props on the PR and coming out of the race in one piece! Favorite sign.. My wife and her friend made 2, but I only saw one, with a Dr Who them! I liked the one about the government can quit, but you can't. I told my friend running with me.. well actually I am the government, so I totally can quit too.. Favorite moment? Seeing friends come out for me and the last sprint to the finish! Fitness goals moving forward.. seeing a doctor about my breathing issue and work on my form! I hope you get your breathing issue figured out. It might be mild asthma triggered by allergies or exercise.